Inequality and radicalisation – what does the review of available numbers say? Is inequality related to radicalisation? If yes, how (positively or negatively), when and where? and How can this association be explained? To answer these questions researchers within Work Package 4 (Institute of Social Sciences Ivo Pilar) conducted a systematic review of quantitative and mixed method studies. 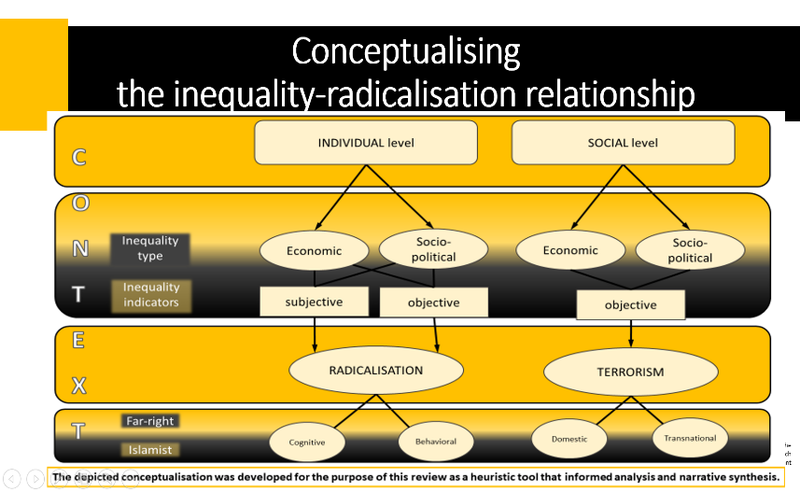 The review analysed 141 publications which applied a range of conceptualisations and methodological approaches in investigating the inequality-radicalisation relationship. and studies which investigated the social level (macro level) inequality factors that contribute to terrorism (84 studies). The systematic review was based on analyses of 141 quantitative study published in English between 2001 and 2017 (selected from initial pool of 5500 publications which were retrieved by databases and grey literature search and cross-referencing search). Besides differentiating between level of investigation (individual or macro), we made a distinction between type and ideological base of radicalisation (cognitive or behavioral, Islamist or far right, international or domestic terrorism). On the inequality side, we differentiated between indicators of economic and socio-political inequality, and their objective/measurable or subjective/perceived basis. Is inequality related to radicalisation? In general, the results have indicated a relatively inconsistent relationship between economic inequality and radicalisation (on an individual level) or terrorism (on a macro level). Thus, objective and subjective economic indicators have shown a limited contribution to explaining radicalisation, regardless of context and level of investigation. More specifically, at the individual level, data on objective (e.g. income, education, living in poverty) and subjective (e.g. income dissatisfaction, perceived individual poverty) inequality revealed an inconsistent association with cognitive radicalisation (e.g. supporting terrorism or violence). Regarding behavioural Islamist radicalisation (participation in terrorism), the findings, although still inconsistent, suggest a possible different relationship in different social and demographical contexts. For example, in dominantly Muslim countries it seems that behavioural radicalisation is more characteristic of more educated Muslims, while, in Western European countries, less educated participants were more likely to demonstrate features of Islamist radicalisation. Moreover, some of the inconsistencies in existing quantitative findings about inequality and radicalisation, even in case of investigating the relationship between the same inequality indicators and behavioral radicalisation, could demonstrate the importance of context or different ideological and motivational features of specific terrorist groups. For example, while one study has shown that poverty increases the probability of participation in a terrorist attack only for well-educated individuals, another indicates the opposite – countries with the highest levels of poverty and lowest levels of education yielded the most terrorists. Although this may seem contradictory, if the context (i.e., participation in Hezbollah versus joining Pakistani terrorist groups ) is considered, such inconsistent findings regarding inequality-radicalisation link can simply indicate the importance of context and the possible difference in underlying ideological and motivational features of specific terrorist groups. In addition, several studies indicate that terrorist activities of different groups cannot be successfully explained by the same factors. On a more general level, it could be said that it is hard to expect consistency in explanations of terrorism on a national level, especially if there are multiple terrorist groups located within a country. At the social level, macro indicators of economic inequality (e.g. interpersonal inequality, Human Development Index, adult literacy) showed an inconsistent pattern of relationships with terrorism. However, some macro indicators of economic inequality (e.g. poverty, interregional inequality) are more consistently positively related to terrorism, but only if the type of terrorism (international or domestic) is taken into account). For example, countries with a higher percentage of people living in poverty were more likely to be targets of transnational terrorist attacks, while interregional inequality appears to be related to a higher incidence of domestic terrorism. There was some evidence that higher per capita GDP and unemployment rates, as well as lower education levels, may be related to higher occurrence of terrorism. In relation to per capita GDP, the majority of studies indicate that countries with both a high and a low per capita GDP tend to experience less terrorism than countries with an average per capita GDP (indicating a non-linear relationship between economic inequality and terrorism). Namely, these studies indicated that relationship of several of macroeconomic indicators with terrorism becomes clearer when non-linear trends are taken into account. Specifically, it seems that the wealthiest and the least wealthy countries are less often targeted by terrorists compared to countries placed in the middle, whereas the countries with higher percentage of citizens living in poverty appear to be more often targeted by transnational terrorists. 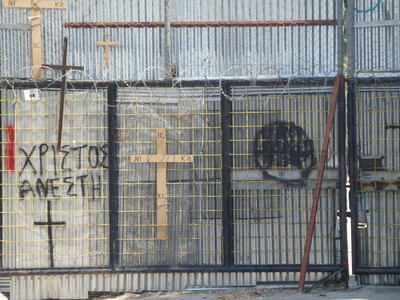 In the case of socio-political inequality operationalised at social level by indicators such as civil rights and liberties or democracy, yielded no consistent results, whereas some evidence again indicated an underlying non-linear relationship with terrorism (in the case of democracy). More consistent findings which suggest positive relations between socio-political inequality and terrorism are established when examining the relationship between respect for human rights and domestic terrorism. Namely, in countries where human rights (physical integrity rights) were upheld, occurrence of terrorism was consistently lower, while repression was related to a higher occurrence of terrorism. In case of perceived socio-political inequality (e.g. perceived personal or group deprivation, unfair treatment, discrimination, injustice) and cognitive radicalisation the findings are slightly more consistent, since survey findings among non-radicalised individuals mostly indicate a positive relationship: higher perceived inequality was related to more extremist attitudes. It is interesting to note that this positive relationship between perceived social inequality and cognitive radicalisation is established in different contexts (e.g. European countries, Israel) and regardless of the ideological orientation of radicalisation (far-right or Islamist cognitive radicalisation). Additionally, findings from analysed studies suggest that this positive relationship is probably indirect and mediated by the psychological process related to more general social attitudes (e.g. authoritarianism, religious fundamentalism), intergroup attitudes (perceived group threats) or social identity variables (e.g. in-group superiority). However, these more consistent results regarding the role of perceived socio-political inequality could be the result of relatively higher quality of (a small number of) studies. Additionally, the perceived inequality or injustice is, in general, confirmed as a potential motivator of political or collective action in social science literature. Thus, future radicalisation studies could further clarify the potential importance of perceived social inequality in the context of the differentiation of radicalisation from other forms of political and collective action. • the point of interest in the radicalisation process (cognitive or behavioural radicalisation). Thus, the review findings suggest that the identified inconsistencies in the existing quantitative findings on the relationship between inequality and radicalisation/terrorism are partially attributable to the complexity of the inequality-radicalisation relationship and its dependence on several additional individual or contextual factors. Additionally, the identified inconsistencies in the existing quantitative findings on the relationship between inequality and radicalisation/terrorism are partially attributable to the methodological shortcomings of the analysed studies. This suggests the need for more advanced, sophisticated and nuanced research in the future. For example, the review identified a relatively low number of studies which focused on specific potential contributors to radicalisation, consequently limiting the validity of conclusions of this review. Additionally, the lack of experimental studies implies the impossibility of drawing firm conclusions regarding the potential causal relationships between different types of inequality and radicalisation. Thus, the review provided insights into the relationship between inequality and radicalisation and identified limitations of the current evidence base about this relationship, which should be considered as a stepping stone for future empirical studies. Such studies will hopefully fill the present gaps in the evidence and using more advanced methodological approaches will provide more reliable answers to the specific questions, such as What type of inequality is related to what type of radicalisation? When and Where is each type (or indicator) of inequality related to each type of radicalisation or terrorism? and How inequality radicalisation association can be explained? Although all conclusions of the review remain provisional (due to the complexity of the inequality-radicalisation relationship, the limitations of the evidence base and the limitations of the review), they could have important policy implications. Thus, a general conclusion of the review suggests a relatively more important role of (perceived) socio-political than economic inequality in the context of radicalisation, indicating that efforts towards the reduction of socio-political inequality both on the individual and social level may be more efficient in preventing radicalisation than efforts to reduce economic inequality. This implies the need to create new measures that foster an environment with less objective and perceived socio-political inequality, but also the need to reconsider and modify the possible negative effects of existing measures and actions related to improving security that unintentionally may cause more perceived inequality by targeted groups. The complete review can be found here. - ensuring societal conditions that facilitate a higher level of respect and fulfilment of citizens’ socio-political rights. ​At conferences on the topics of radicalization and terrorism there is a chance one may accidentally overhear a whisper that the proliferation of radicalization and terrorism researchers has been exceeding the proliferation of radicalism and terrorism. At face value, The Netherlands may prove to be a working example. Since 9/11 and especially since the terrorist attacks of Once de Marzo in Madrid, research on radicalization and terrorism has flourished up to the point that the country now hosts many qualified research groups and individual researchers dealing with the issues of radicalization and terrorism, and this in the absence of the types of incidents we have witnessed in recent years, in Manchester, Paris, Berlin, and many other places throughout Europe. But that is not to say that the DARE project can be considered just another project about radicalization, a retaking of the same themes that have been discussed at length, indeed already by many. The research group at Leiden University is excited to participate in the DARE because it pinpoints some timely issues of scholarly relevance, but above all of societal relevance. As we are experiencing the decline of ISIS as an organization, the stories, the hopes and aspirations, but also the grievances and the angers that once gave rise to radical engagement will very likely continue to resonate in the areas, streets, networks, and websites that together form the ‘milieu’ from which radical ideas and action may emanate. DARE will help us to understand how and why young individuals choose extreme political engagement, relating ‘our local’ to many ‘locals’ across Europe, affording comparison and insight in the deeper structure and dynamics at play. What’s more, the Netherlands, like other European countries, has not only seen the emergence of radical Islamist engagement. The Islamist rhetoric and mindset have also been met with less than moderate and discriminate response, a response that is attracting a still growing following in official politics and also in the “politics of the street”. Here, we see the emergence of radical engagement that comes in the form of a response, but that in its polarizing nature and Islamophobic tendencies also very much triggers further radicalization among many sides. The study of radicalization has not lost its purpose. There is still so much to investigate. This is the time to study processes of cumulative radicalization, of studying varieties and similarities of radicalization, and this is the time to study radicalization empirically on a massive scale. DARE is doing exactly that. As a partner, the Leiden research group has been fortunate to already meet important stakeholders in the academic and policy world, but also, critically, in the milieus we aim to understand. We are grateful for their openness and their willingness to collaborate, despite the burdens that involvement in research imposes. The infrastructure is almost in place to conduct the research and ensure its impact. We are eagerly awaiting the first insights from our involvement in the field. ​Athens is known as the only European capital without an official mosque. Muslims have to gather and pray in basements, storehouses and garages. Only four such places have received a state permission to function as religious prayer houses in the last years. The rest function either under other legal statuses (e.g. 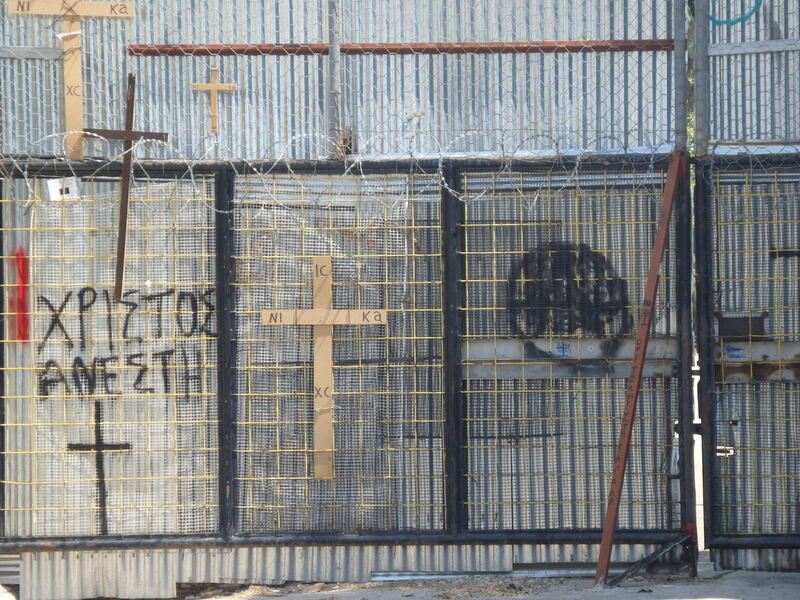 as cultural associations having also a room for praying) or are completely illegal. The historical background of the construction of a mosque in Athens can be found in the late 19th century and although the Greek Parliament has voted several laws and legal amendments for the establishment of the mosque, especially from 2000 onwards, this issue is still pending. This situation has two main effects. 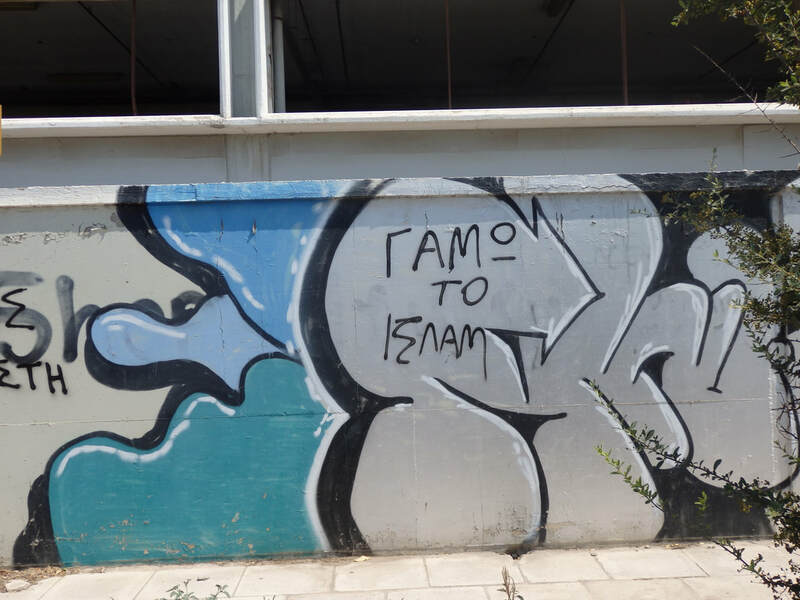 On the one hand, the majority of Muslims living in Athens feel disappointed and frustrated because of these delays. On the other hand extreme-right wing groups, among which “Golden Dawn” is the most significant agent, are totally opposed to the construction of a mosque in Athens or anywhere else in Greece. 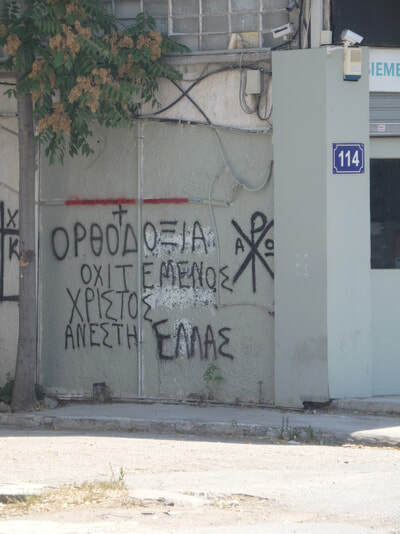 Further to that, extreme-right wing groups have tried to delay the construction of the mosque occupying the place where it was decided to be built and holding demonstrations with the main slogans being: “No to a mosque in Athens, nor in any other place”. Further to that they have established Facebook pages with this particular topic and against Muslim immigrants and refugees. In such a context it is interesting for one to examine which is the impact of this situation upon Muslims, especially the younger ones, and those who have been born and raised in Greece or arrived at a very young age. It is also important to ask if this, among other issues, makes them feel unequal or socially excluded and perhaps susceptible to radical ideologies or if they reject radical ideologies despite such grievances. On the other side of the spectrum, it is also interesting to ask how young people of the right or the extreme-right, who are against Islam and Muslims, view the idea of having an Islamic mosque in central Athens and how they react to that. In other words, some of the main questions the PUA team will try to answer in DARE project are: Which is the role -if any- of the mosque issue in the reproduction of inequalities? Does cumulative extremism works somehow in such a situation or not? And if not, how this can be explained?